I've had a lot of favorite books over the years, but this was my first favorite book, the one I bugged my parents to read to me over and over and then read repeatedly myself once I knew how. It's the story of a dog named Scuppers who has a boat and sails all over the world. He gets shipwrecked, has to survive on a desert island, eventually rebuilds his boat, and visits some exotic foreign lands. In pulp terms, it's sort of like a canine version of a J. Allan Dunn or H. Bedford-Jones yarn. The art is by Garth Williams and is wonderful. Many of the images are still fresh in my brain nearly 60 years later. 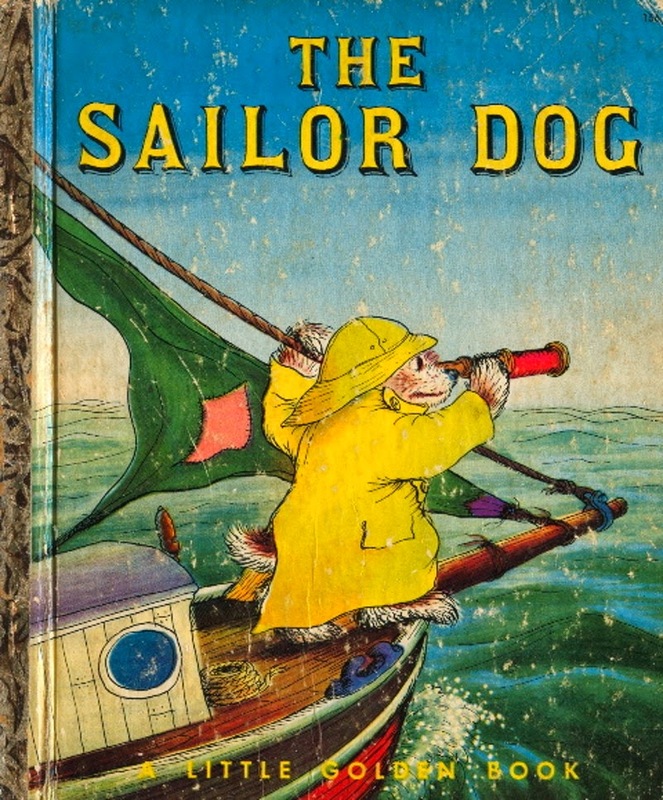 THE SAILOR DOG was first published as a Little Golden Book in 1953, so it was pretty new when I was a kid. I was surprised to learn that it's still in print, although anyone considering buying a copy should be warned that according to Wikipedia, the edition that's available now is abridged by four pages. I don't know which four pages were taken out or why, but if I were to buy a copy, I'd hold out for a used copy of the original edition. I read this to my little one about 20 years ago and she loved it. I suspect it was the abridged version. You can't go wrong with Margaret Wise Brown. I also read this quite many times in my childhood years. Lots of this series was published in Finnish translation as well - and many of the books are still in print.